Reclaimed Mid Height 4 Bar Cathedral Radiator in stock and on display here at Authentic Reclamation. If this Reclaimed Mid Height 4 Bar Cathedral Radiator is an item that interests you then please don’t hesitate to contact us on 01580201258. Better yet you can take a look in person! If you head over to our yard based in Stonegate, East Sussex, a member of our team will gladly show you this radiator. 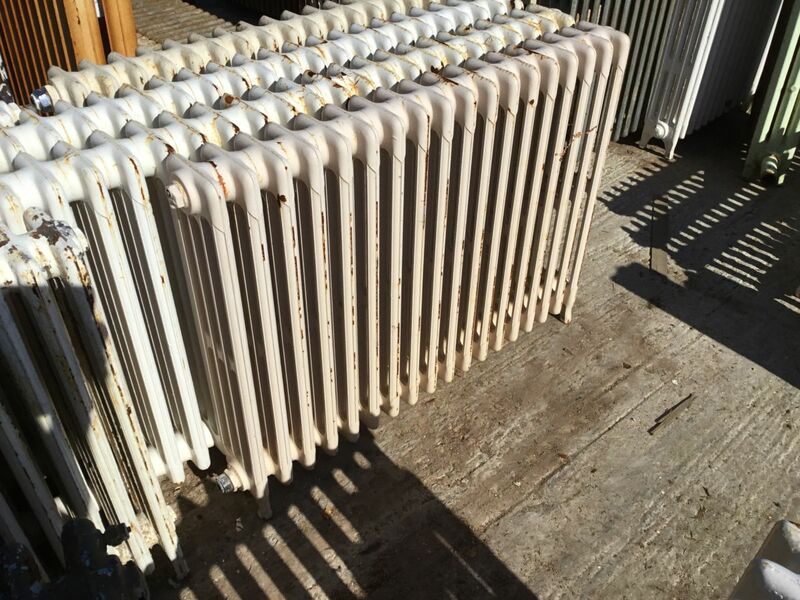 Alongside this, you can take a look at the range of reclaimed radiators we have in stock. So if this if this isn’t quite right, don’t worry! We have more options available. While you’re here you can also spend some time in our showroom searching through our treasure toves of unique architectural antiques! Where you’re sure to stumble upon some wonderfully interesting items!